We San Franciscans are perhaps more in tune with Mother Nature than most of our California cousins. San Francisco is relatively unspoiled (as far as major metropolitan areas go) and embraces the iconic natural beauty that has made The City by the Bay an attraction for world travelers for a century or more. From hiking along San Francisco’s rocky shore to biking the miles and miles of trails wound throughout to simply chilling in one of the gorgeously planned green spaces it’s not hard to find an escape from the hustle and bustle. But sometimes you need to dig a little deeper and get in touch with your inner environmentalist. Biking in the city can be fun, but it can also be dangerous (the number of bicycle accidents in San Francisco isn’t decreasing—even with all the safety improvements). So it makes sense cyclists feel the need to get out and reconnect with Mother Nature on trails and relatively deserted “country” roads. But you don’t have to drive for a day and a half. There are a ton of natural wonders within minutes of the city, including 5 of the best campsites in California. So pack up your gear (including the bike) and explore the best camping spots in San Francisco. Located within the Golden Gate National Recreation Area, Rob Hill is technically right in San Francisco—which cuts down on the drive time. Here you’ll find sweeping views of the Pacific Ocean, miles of trails to hike and bike, and beautiful Baker Beach. Only two of the sites are open to the public—so book early—but each can accommodate you and 30 of your closest friends. Voted the top Camp site in San Francisco for 2016 by SFGate, Steep Ravine is in Marin and offers amazing Oceanside views from high atop a rocky bluff in Marin—just 20 minutes across the Golden Gate Bridge from the heart of San Francisco. The “rustic” wooden cabins at the site date back to the 1940s—like something you’d see at a mining camp in an old black and white movie. At just $75 a night these digs are a steal but all the sites can sell out within minutes of tickets going on sale so plan a year in advance. Stuck for something to do during the day? Why not bike the Paradise Loop? 26 miles of terrain suited to cyclists of any ability level. Less than half an hour outside San Francisco’s city center, Kirby Cove is a rustic au-naturale campground (think Boy Scouts and s’mores over open fires) with absolutely stunning views of the Golden Gate Bridge in the background. This campground is perfect because it’s tiny (just four sites) so you’ll not have to worry about being jammed next to a neighbor who snores with only a thin tent wall between you. And from here it’s only a 7 mile bike ride back into San Francisco! 44 minutes from San Francisco (inside Mount Tamalpais State Park) you’ll find one of the most photographed natural environments in the Bay Area. Pantoll Campground features a prehistoric-looking redwood forest (which blooms with surreal fog almost every morning). Chances are you’ve seen some of the epic photos photogs have snapped of that fog. But like the others on this list, the site is popular (and this one is first-come first-serve). That’s why Thrillist recommends planning your trip mid-week. The Alpine Dam Ride (as locals call it) is 34 miles of the best views in Marin. If tents aren’t your thing but a cabin seems a little too fancy for your San Francisco glamping adventure, consider the yurts at Mount Madonna Park (Santa Clara County). This site offers easy access to the Santa Cruz Mountains and is one of the few places in the county you can actually see the ocean! These traditional yurts are like tents on steroids. They have 10-foot ceilings, locking doors, wrap around decks, and bunk beds. Rent the 24 foot model and you can bring up to 10 family members or friends for just $96 per night. The parks department also offers paved bike trails for cyclists who aren’t yet ready to hill climb. Just remember, if you do bring your bicycle, ride safely. Obey the rules of the road at all times and beware of drivers—they’re responsible for well over half the bicycle accidents in San Francisco involving cars. 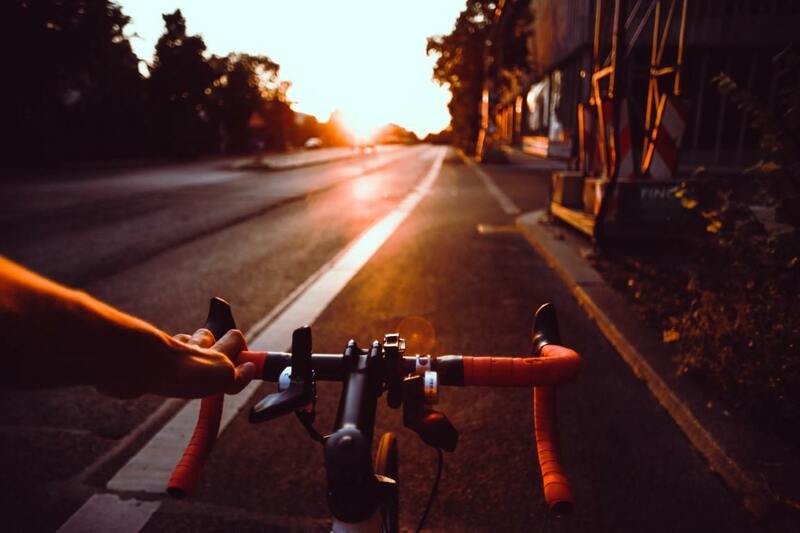 If you are in a wreck, contact a San Francisco bicycle accident attorney as soon as you can. Fill out this short form to see if you have a case or call us directly at (415) 413-0033 today.